Inflammation – bronchial infiltration with inflammatory cells most evident in severe disease and also found in mild asthma – increased levels of inflammatory mediators are associated with asthma airway hyperresponsiveness. Epithelial injury – ranges from minor disruption of the epithelium with loss of ciliated cells to complete denudation of the epithelium, leading to reduced mucociliary clearance and increased permeability to inhaled allergens, irritants, and inflammatory mediators. 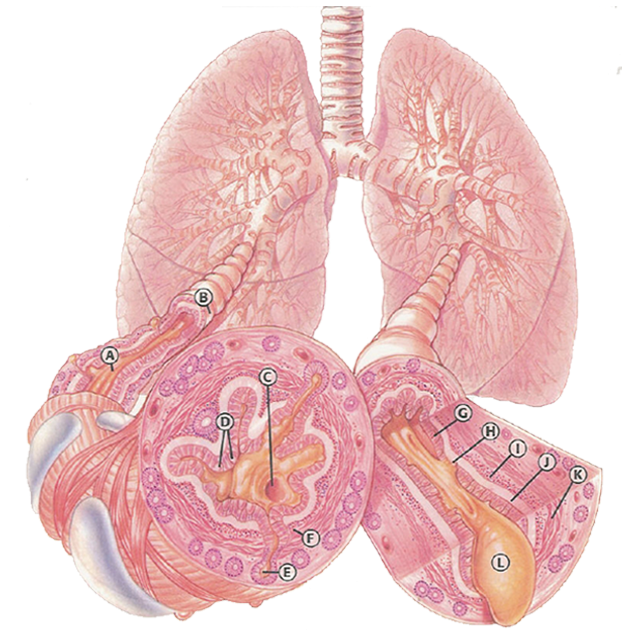 Airway smooth muscle contraction – narrowing of the airway lumen, leading to airway obstruction. Excessive, thick mucus – is often produced during an asthma episode and leads to a narrowing of the airway lumen.